Here in Rome we call forth the spirit of the ancient Roman god Mercury. He is the god of communication, who is often seen as holding the caduceus, the symbol of medicine. Mercury is the son of Maia (the earth) and the chief deitiy Jupiter. 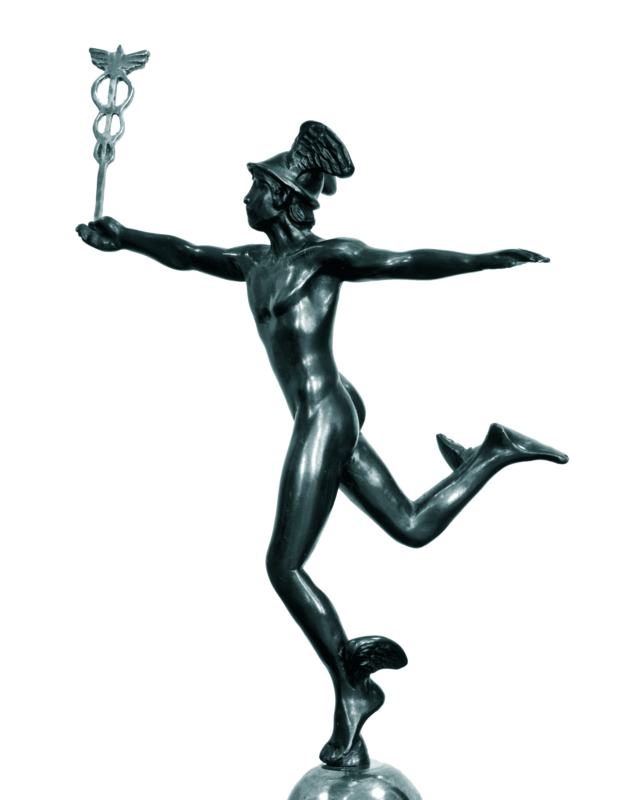 Mercury is the god of financial gain, commerce, eloquence (and thus poetry), messages (including divination), travelers, boundaries, luck, trickery and thieves; he also serves as the guide of souls to the underworld. It is thus fitting to call on Mercury to help transmit the work we celebrate on this occasion, in this city that is a birthplace of civilization, and also the site of the 1st published research on myofunctional therapy and sleep, which holds so many keys to our collective progress. When people ask me “What do you do?” I have a tendency to frame the work I do as a storyteller and a bridge builder. To help nurture an emerging area of medicine, it is critical that we identify key leaders, help tell the stories of their incredibly valuable work, and to celebrate them. This has been a tremendous privilege for me personally. I am continually inspired by the work you all do in this area. It is because of you that we have created the Hippocrates Award. disorders. I have no doubt that in the coming years, those we celebrate here will go on to help untold millions of people who suffer. It is truly an exciting time for us as we can see the work that these leaders have conceived of translated into treatment. Please join me as we celebrate the brilliance of these individuals and institutions, here in our venue il Nuovo Circulo degli Scacchi which has fittingly designated the swallow as its symbol since its formation in the 16th century as a palace. From the inception of our young society we have come together to not only come together to show cases and applaud good work, but to to actually disrupt existing paradigms. Join us as we endeavour to change medicine. Mercury, please help us to sing stories of the poetry of this work, and may all the professionals here go back and communicate the knowledge gleaned here, crossing boundaries, building commerce, and transporting souls to a place of healing. Click on the link below to download a PDF format of the program. Help us continue fundraising for the AAMS with entertainment, libations, a gourmet buffet dinner, and a program that celebrates our leaders who fight to make the world a better place, spotlighting distinguished achievement and fund raising objectives of the AAMS.Dress Code: Black tie dinner, also known as “Smoking” also known as “Cravatta Nera”. 6-7pm Cocktails with our distinguished Congress Chair Irene Marchesan PhD, Scientific Committee Chair Maria Pia Villa PhD as well as other honored guests. 7-10pm Gala Banquet Dinner. The Nuovo Circulo degli Scacchi was founded in Rome officially in 1872, after preliminaries in the previous year, in the Costa palace in S. Marcello al Corso. In the inevitable contrasts that the dramatic events of 1870 had determined in Roman society, the new Sodality, far from political characterizations, gathered those who felt most closely linked to ancient traditions. Significant was the accession of many Pontifical Noble Guards, until then adhering only to the Circolo delle Guardie Nobili, the oldest in Rome, aristocratic and military, of which it was written that the Chess Club became in fact the heir spiritual in the society of the time. In 1907 the Chess Club incorporated the “Union Club” which was established in 1903. In 1906, in the meantime, the “New Club” had arisen in Rome on the initiative of a group of other Members who had resigned from the Hunt Club and had his first President the Prince Don Baldassarre Odescalchi. In 1916 the “Circolo degli Scacchi” then presided over by the Prince Don Giovanni Torlonia and the “New Circle” then presided over by the Prince and Duke of Paliano Don Fabrizio Colonna merged, adopting the name “Nuovo Circolo degli Scacchi” of which he became President the Prince Fabrizio Colonna. On May 18, 1947, in the Palazzo Fiano in Lucina (where the Club had moved in 1923, after having been based in Palazzo Torlonia in Piazza Venezia from 1885 to 1889, at the Palazzo Pericoli al Corso from 1890 to 1916, and in Palazzo Sciarra from 1917 to 1922), on the initiative of the X President of the Principe Club Don Ludovico Spada Veralli Potenziani, the Unione Circoli Italiani was formed, to which the largest and most elite Italian Circuits adhered (and still adhere), with the aim of creating and maintaining among them constraints and agreements of ethical and social behavior. The Prince Spada Veralli Potenziani maintained the presidency of the Union for a very long period, up to 1971, leaving its founder’s mark on the association that is still active and flourishing. Over time the remains of the ancient division of the Roman aristocracy between “whites” and “blacks”, the New Circle of Chess born in the name of traditions and loyal to them, has opened up to the realities of our time: in the new headquarters of Palazzo Rondinini (from 1990) to the historical names of the ancient and respected social aristocracy, which give visible continuity to the origins, have joined the exponents of the intellectual aristocracy of Culture, of the Universities, of the Economy, of the Science, of the liberal professions , of the Institutions of the Country, characterizing the Association as a great Italian Club, conservative and innovative at the same time, in a framework of fidelity to those ethical values,moral and social, which were the foundation of his constitution and which are still today and will also be the motivation of noble and elected social life in the future. 2018 Recipient of the AAMS Hippocrates Award For Lifetime Achievement in Contribution to Medicine Via Myofunctional Therapy. 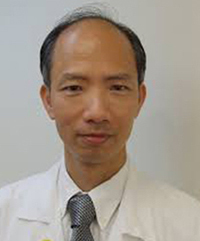 Dr. Daniel K. Ng is the Founding President of Asian Paediatric Pulmonology Society as well as the Chief of Service of Department of Paediatrics, Kwong Wah Hospital, Hong Kong. He is the honorary council member of the Hong Kong Society of Paediatric Respirology. He was awarded Master of Medical Sciences by the University of Hong Kong for his works in neonatology in 1999. 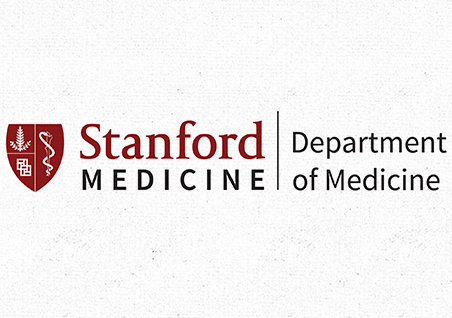 He received training in paediatric sleep medicine in Stanford University Sleep Disorders Center and started the paediatric sleep service in Kwong Wah Hospital. For his research works in paediatric sleep-disordered breathing, he was awarded Doctor of Medicine by the University of Hong Kong in 2006. 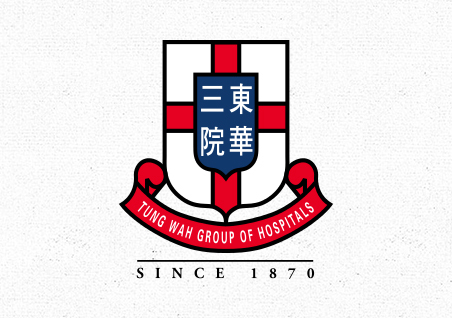 Dr. Ng was Foundation Fellow of Hong Kong Academy of Medicine and Fellow of the Royal College of Physicians of Edinburgh and Royal College of Paediatrics and Child Health. He is currently the regional director of the International Pediatric Sleep Association since 2016. He was presented with the Special CIPP award for his contribution to develop paediatric respirology in Asia during the 11th International Congress of Pediatric Pulmonology held in Bangkok, Thailand, 2012. For his contribution to the development of paediatric respiratory medicine, he was conferred Honorary Fellow by the HKSPRA in 2016. Dr. Ng was bestowed the honor of Past President’s award of CIPP for promoting pediatric pulmonology in Asia during the 16th International Congress of Pediatric Pulmonology held in Lisbon, Portugal, 2017. Dr. Ng’s main research interests are sleep-disordered breathing, asthma and allergic rhinitis. Dr. Ng has published 108 peer-reviewed papers in journals indexed in Web of Science with 1,085 citation. His H-index is 20. He is the associate editor of Journal of Pediatric Respirology and Critical Care Medicine. 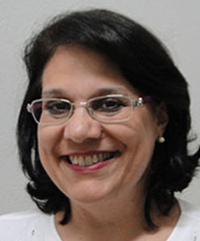 Roberta Martinelli, PhD SLP is a manager from “Teste da Linguinha” (Portuguese for Neonatal Tongue Screening Test) center in Hospital Santa Therezinha in Brotas, Sao Paulo, Brazil. Professor of courses in Speech Therapist and Dentistry, with high experience in scientific clinic investigation in the fields of Orofacial Myofunctional Therapy. Also, author of many published articles mostly about the lingual frenulum, including the protocol that served as basis for the Brazilian national law that makes the application of the lingual frenulum evaluation in newborns compulsory in all hospitals and maternities in the country. 2018 Recipient of the AAMS Madame Marie Curie Award for Contributions to Science Via Myofunctional Therapy. Prof. Dr. Marco Antônio M. Rodrigues da Silva received his D.D.S. 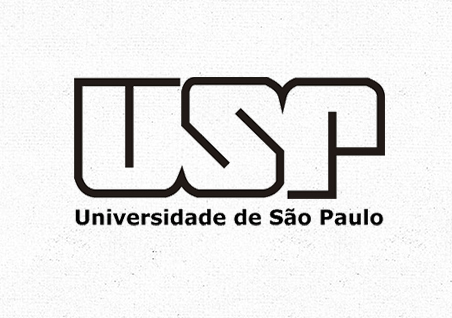 degree in 1974 from the School of Dentistry of Ribeirão Preto, University of São Paulo (FORP/USP). Then he received his M.D. 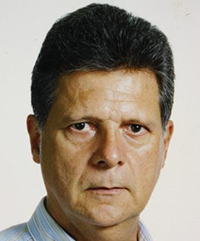 degree in 1985 from the School of Dentistry of Araraquara, São Paulo State University (FOAR/UNESP) and his Ph.D. in 1991 in Oral Rehabilitation from the FORP/USP. Currently, he is a Senior Professor at the Department of Restorative Dentistry, School of Dentistry of Ribeirão Preto, University of São Paulo, Brazil. His expertise areas are in the Temporomandibular Disorders/Orofacial Pain and Surface Electromyography fields. 2018 Recipient of the AAMS Louis Pasteur Award for Courage & Leadership in Advancing Medicine via Myofunctional Therapy. 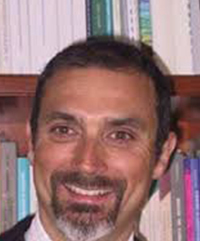 Prof. Fabio Scoppa, DO, PhD is an Osteopath DO, has a PhD in Neuroscience and a PhD in Physiology. He is a psychologist and psychotherapist. He’s the Creator, Scientific and Didactic Coordinato of the Master degree Course in Posturology, Faculty of Medicine and Dental Surgery, Sapienza University of Rome, since academic year 2002-2003 until today. He was the Director and founder in 2002 of Chinesis I.F.O.P. Ostopathy School, accredited by the Register of Italian Osteopaths (R.O.I.). he taught at the Universities of Bari, Sassari, Palermo, Chieti, Rome, and Hawaii (Honolulu). He has been invited speaker in numerous national and international scientific congresses. He’s the author of numerous scientific publications and the author / editor of seven books. In 2009 he was nominated Co-Chair of International Standardization Committee for Clinical Stabilometry – ISPGR (International Society for Posture and Gait Research). 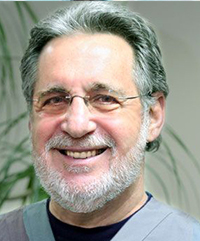 A graduate of New York University College of Dentistry, Dr. Howard Hindin is trained in all aspects of general dentistry, with an early emphasis on surgery and endodontia. Since the 1990s, his practice has also focused on cosmetic dentistry, temporomandibular joint disorders, and craniofacial pain. An acknowledged pioneer in the relationship between dental issues and whole body health, Dr. Hindin, is President (2000-present) of the Foundation for the Advancement of Innovative Medicine (FAIM). The foundation offers educational services to professionals and the public on complementary medicine as well as advocacy for patient and doctor rights. Also, Dr. Hindin advanced the use of acupuncture in dentistry and general medicine as the Director of the Acupuncture Program for Substance Abuse in Rockland County. There he developed, supervised and trained personnel to provide acupuncture for the Rockland County Alcohol and Substance Abuse Outpatient Services. He is also an active member of the American Academy of Pain Management, American Academy of Cranio Facial Pain, American Academy of Dental Sleep Medicine, Academy of General Dentistry, American Dental Association, International Academy of Oral Medicine and Toxicology, and the NY State Society of Acupuncture for Physician and Dentists. Dr. Hindin has presented important position papers to dental and medical groups throughout the country. His research into the dental-medical connection and systemic balance has shaped the medical community’s understanding of this growing and important field. Frankling Susanibar Chavez received his degree in Phonoaudiology (SLP) from the Instituto Adventista Paranaense – Brazil (FAP) and the specialty in Orofacial Motricity from the famous center CEFAC in São Paulo – Brazil. He is an instructor at the Second Specialty in Evaluation and Intervention in Children’ Language Difficulties, National University of San Marcos (UNMSN) in Peru. He is a former professor of the Faculty of Medical Technology in Language Therapy at the Universidad Peruana Cayetano Heredia (UPCH) in Peru. 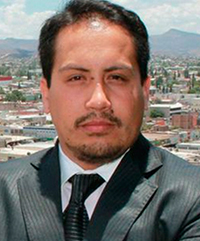 Franklin is the Director of the digital magazine EOS in Perú as well as author of articles, lectures and multiple books, of which is often the editor as well. Along with others, he created the World Day of Orofacial Motricity (Myofunctional Therapy), which is celebrated every year on February 17th. Heidi A. VanRavenhorst-Bell, PhD is Associate Dean of the Cohen Honors College and an Assistant Professor in the Department of Human Performance Studies at Wichita State University. Her interdisciplinary line of research focuses on clinical exercise physiology and orofacial myology. Her research further involves innovative development (IPs) (e.g., Clarity). She has received national and international recognition in peer-reviewed publications, presentation as well as a live segment on NPR’s Science Friday with Ira Flatow. Dr. Bell has also coordinated professional network systems to bridge the gap between medical professions and the health & fitness industry in promotion of quality patient care. Dr. Farhan Shah has been a clinician, academician and researcher for the last eleven years. He joined Integrative medical biology, Umeå University in 2012. His present area of research is the neuromuscular damaged caused by years of snoring. This research formed the basis for his PhD defense in May 2018. During his research in Umeå University he discovered unique fibers in the soft palate of humans giving new insight into cyto-architectural buildup of these upper airway muscles. His primary responsibilities include research, teaching and mentoring dental students at Umeå University, Sweden. He has a wide international teaching and research experience. At the dental school, University of Toronto, he Instructed 2nd year Undergraduate students at pre-clinical Prosthodontics and conducted research at Dr. Barry Sessle’s lab. The collaborative research project with Dr. Sessle’s lab investigates the effect of dental implant placement on muscles and brain plasticity. He has also worked at faculty of dentistry, King Khalid University where he was bestowed with best teacher award for 2008 – 2009. Dr. Shah earned his bachelors in dentistry and masters in prosthodontics from India. Recently he was nominated for a prize for AAMS rising star investigator by Academy of orofacial myofunctional therapy in their forthcoming congress in September to be held in Rome, Italy. He has been invited as a guest speaker on upper airway/soft palate in snorers and sleep apnea subjects on several occasions both in Sweden and internationally. All these researchers have been working on protocols, applying myofunctional therapy in different areas of health but most importantly they have been doing research to further move ahead the field of myofunctional sciences, world wide.